Apparently you can’t use the classic Batman gadget as a grappling hook, but if you want to open your favorite beer, the Batman 1966 Batarang shaped bottle opener will help you. This is a pretty cool, well-crafted bottle opener inspired by Batarang, one of Batman gadgets in the Batman classic TV series. As shown in the images, the bottle opener is shaped as a Batarang, and sports exquisite detailing from its original design. Using the points and talons of the most famous Bat-tool, you can easily pry the cap off of any bottle, and two magnets on the back let you hang the Batarang on the fridge door. Apart from that, the Batarang bottle opener measures 4 inches long, and is made from solid metal. 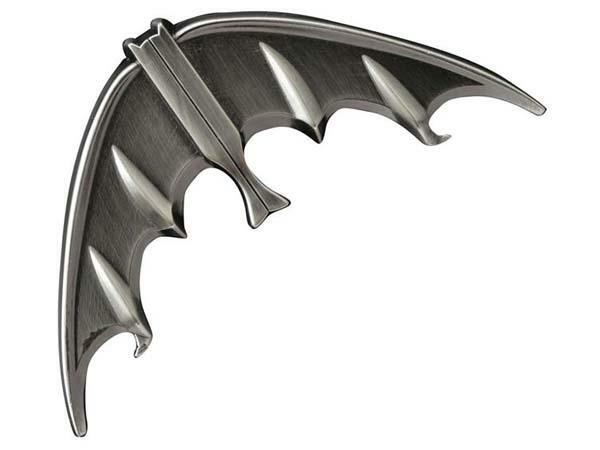 The Batman 1966 Batarang bottle opener is priced at $17.99 USD. If you like it, jump to Amazon for more details.